There’s a reason this film won the best screenplay prize at Cannes and the two leads shared the best actress prize and the audience at Liberty Theater in Hamilton, Bermuda found out why Sunday afternoon as it made an appearance at the Bermuda International Film Festival. 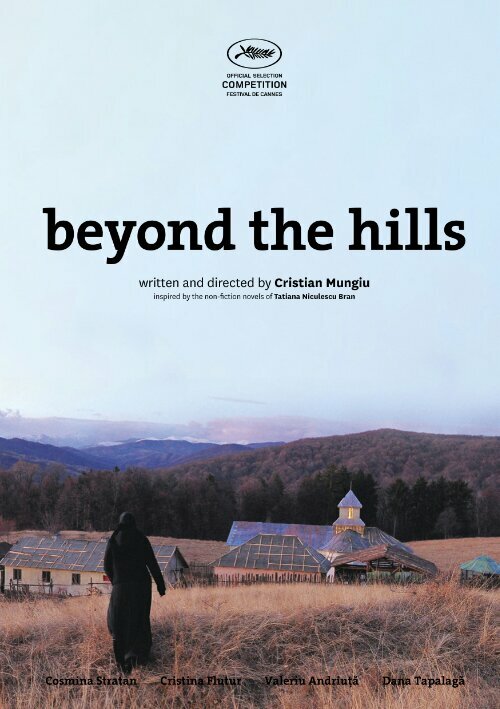 It’s a brilliant adaptation of Tatiana Nicolescu Bran’s non-fiction novels, about an alleged demonic possession in the Moldova region of Romania in 2005. The film is not a supernatural thriller, instead it is very much a butting of heads between the modern world and the old world, both broken in their own way. Alina (Cristina Flutur) and Voichita (Cosmina Stratan) grew up together in the orphanage, sleeping together, Alina would protect her, and they loved one another emotionally and it is intimated, through looks and touch, that the love was physical as well. Alina arrives to take Voichita away with her, back to Germany where she resides now. She’s a modern woman, but troubled, missing the only thing she felt was a constant, Voichita. Voichita in turn has pushed that part of herself deep inside and devoted herself to god in a small, beaten down, orthodox monastery under the constant eye of a priest they refer to as Papa (Valeriu Andriuta). He and the rest of the sisters who reside their are trying to make money to have their church painted so that it can be consecrated. Alina’s arrival upsets the calm routine of the monastery, her reactions to those around her verging on the violent when all she wants is to be with Voichita. It stirs the group into a gossip-filled, hysterical, superstitious fervor, and they practically brutalize Aline, locking her away in a room, chaining her to a makeshift cross, and attempting to exorcise her of the enemy that must be within her. Flutur and Stratan are amazing, there is not one missed moment in the course of the film, it feels harrowing and real, I noticed that more often than not, Voichita rarely faces the camera head on, she plays a lot with her back to camera, in profile, or partially obscured by Alina and others. That is until the final act of the film, a whole scene is played out with her staring right at the camera, as the old world on her right and the modern world on her left talk about actions and consequences. For a film that clocks in at 159 minutes, this one flew by, and if the opportunity presents itself, I do plan on seeing it again. Beautifully shot and acted, the entire audience was quiet as the film finished, and then as soon as the lights came up, discussions sprang up everywhere. That is my kind of film, something that can encourage a dialogue. It truly is a fantastic film, and not a single character is left unscarred by what happens at that remote monastery. There is a moment in the final scene if the film where we hear a report about a boy in town stabbing his mother and posting the pictures to the internet… It leaves us thinking that despite the events that occurred, and the whys that they happened, both worlds are broken. The Bermuda Film Festival runs until Thursday… what are you seeing?